Toys “R” Us Inc., a company with four stores in the San Antonio area, experienced a 4.1 percent decline in U.S. same-store sales and a 2.2 percent decline in international same-store sales during the company’s fourth fiscal quarter. 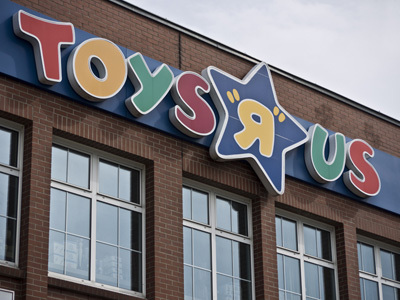 The Wayne, N.J.-based retailer reported a $210 milion net loss attributable to Toys “R” Us on net sales of $5.27 billion for the 13 or 14 weeks ended Feb. 1, 2014. This compares to earnings of $239 million on net sales of $5.77 billion for the 13 or 14 weeks ended Feb. 2, 2013. “It was a challenging year, with declines in both our domestic and international segments,” says Toys “R” Us Chairman and CEO Antonio Urcelay. Toys “R” Us is a toy and children’s products retailer. The company operates 872 Toys “R” Us and Babies “R” Us in the United States and Puerto Rico, and more than 700 international stores and over 180 licensed stores.